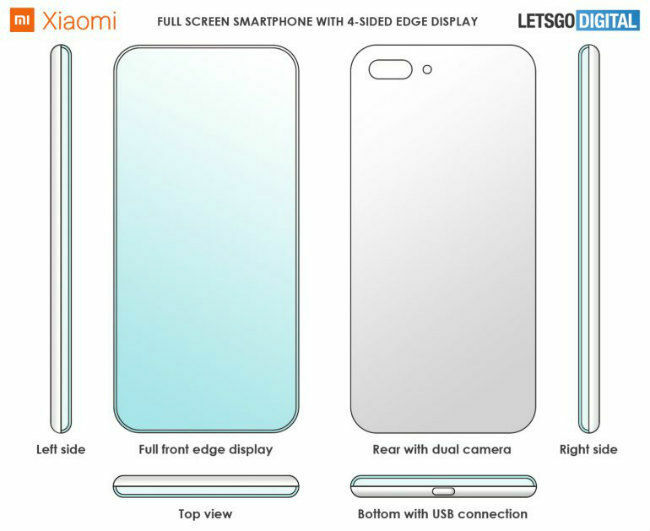 It looks like Xiaomi may be planning on making a smartphone screen with four curved sides. According to a report by letsgodigital.org, the Chinese company has applied for a patent for the same with the World Intellectual Property Office (WIPO). Judging by the image shared on the website, there doesn’t seem to be any front facing camera with this design. So either Xiaomi plans to add system such as a pop-up camera, or maybe even ditch the camera entirely. Other notable features showing in the image include a USB Type-C port at the bottom and a dual-rear camera setup at the back. Of course, putting curve screen on a smartphone is nothing new, Samsung has been offering the same in its flagship smartphones for quite a while now. However, those displays only curve on two sides, not all four. As such, it should offer a nearly complete full screen display experience. However, just because Xiaomi has applied for a patent, doesn’t guarantee that the company will manufacture the same. So for now, we just have to wait and see if this will become a reality. Xiaomi may also be working on a folding smartphone of its own. 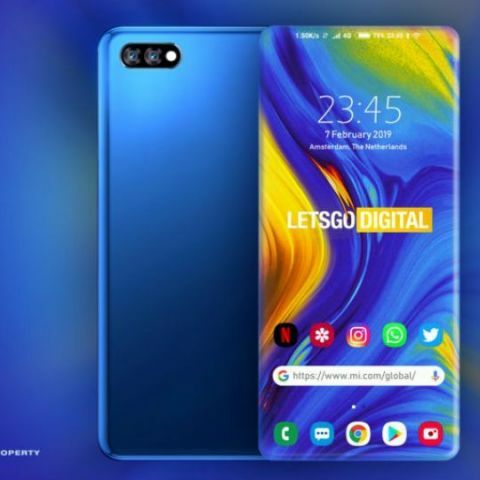 Last month, the company’s co-founder, Lin Bin posted a video that showcased a foldable smartphone. However, the phone does not fold in half. Rather, it folds backwards along two bends. Of course, Xiaomi isn’t alone in its quest for a foldable smartphone. Samsung and Huawei are expected to unveil foldable devices at MWC 2019, while Royole has already launched a foldable device called the FlexPai. Xiaomi redmi1s best smartphone wiithin 7k?? what is IP58 and IP55 in smartphone display? IS there any smartphone which provide LED display ? Is xiaomi mi3 a really good smartphone?